The Metre Zone was a general engineering zone funded by the Science Foundation Discover programme. It featured engineers from a mix of different backgrounds, such as IT systems, biomedical engineering and civil engineering. 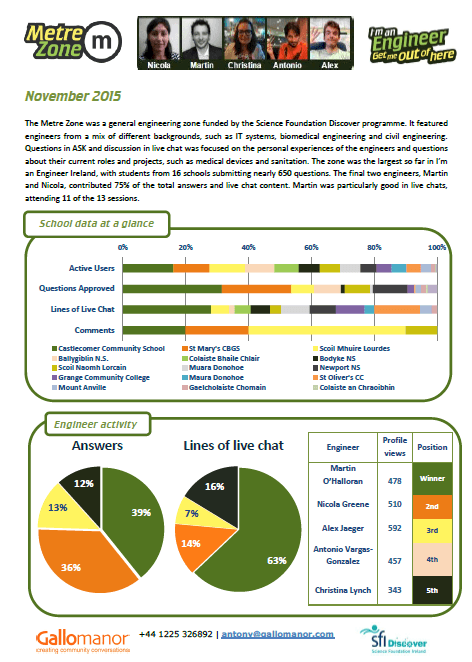 Questions in ASK and discussions in live chat were focused on the personal experiences of the engineers and questions about their current roles and projects, such as medical devices and sanitation.